Jewish cuisine is hard to pin down. Flip through a Jewish cookbook and you’ll see recipes from Europe, the Middle East, North America, and more owing to the Jewish diaspora. To the delight of dessert fans everywhere, each region has its own style and take on sweet treats. From flaky pastries enjoyed in Israel to cakey breads eaten across the Slavic countries, here are seven Jewish treats you need to know about. 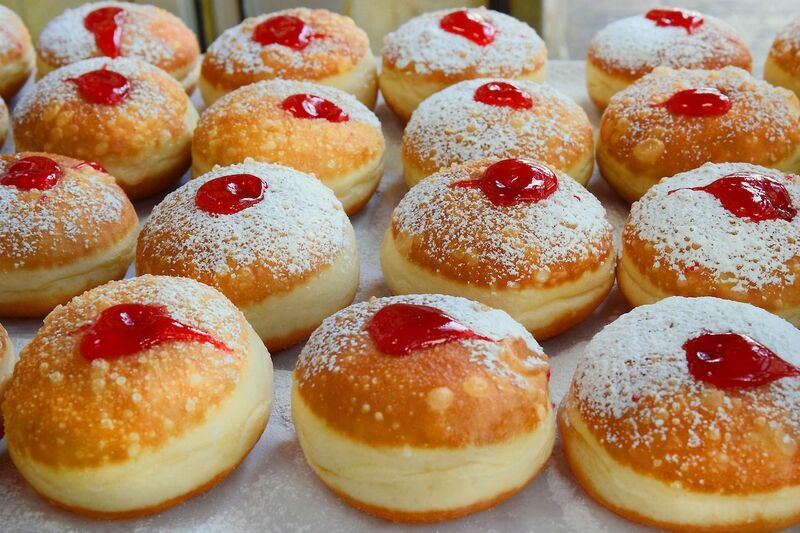 These deep-fried jelly donuts are particularly popular come Hanukkah, a holiday that knows all about oil. Sufganiyot, latkes, and other fried foods commemorate the Hanukkah miracle of a single night’s supply of temple oil remarkably lasting eight days. 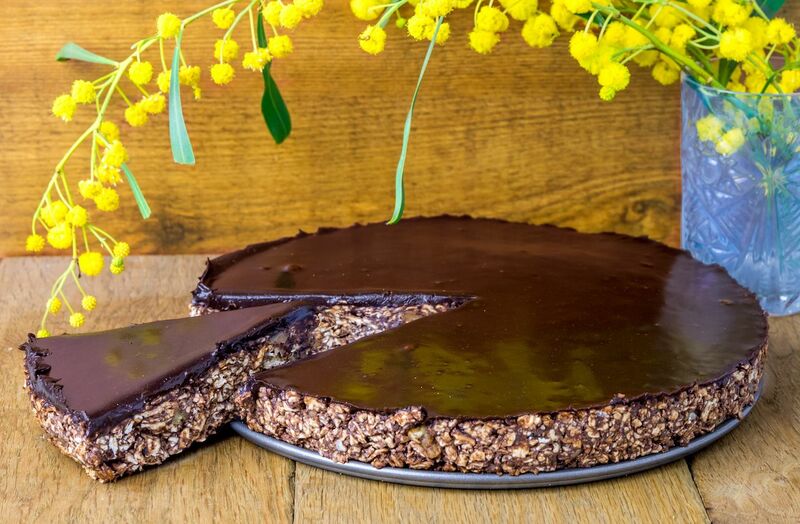 But in Israel, this sweet treat is a bakery staple year around. While strawberry is the traditional filling flavor, modern bakeries in cities like Tel Aviv have started getting creative, experimenting with flavors like pistachio, dulce de leche, and sesame paste. This crescent-shaped pastry features on cafe menus from Budapest to Jerusalem to New York City. 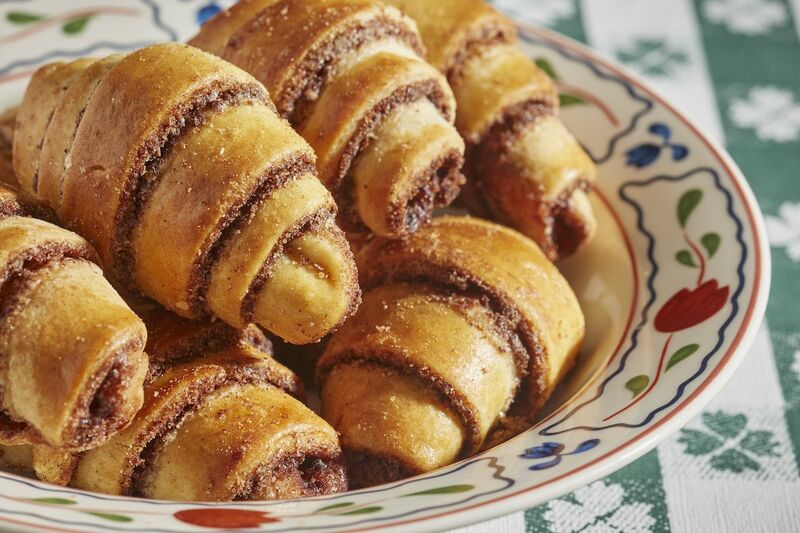 Rugelach has origins in Europe though it is also enjoyed in Israel and the United States. American bakers often substitute a cream cheese-based dough for the traditional yeast dough while another version of the croissant-like pastry calls for sour cream. Then, sweet ingredients like jam, chocolate, and dried fruit are added to make the rugelach that much tastier. Light, flaky bourekas are a nice reminder that some of the best pastries on the market are savory. Phyllo dough is loaded with hearty ingredients like ground beef, potatoes, spinach, and cheese, then baked until golden brown. The result is a perfect three-bite snack, often sold as street food in Israel. 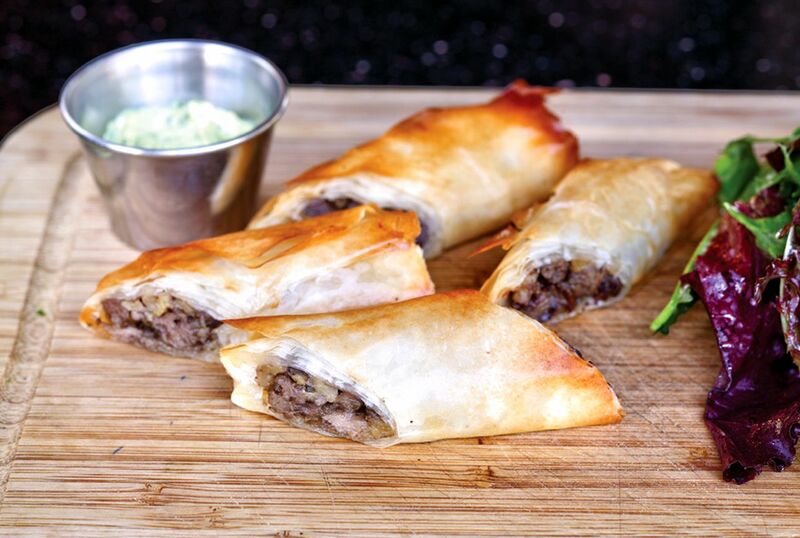 Bourekas are a variation on börek, a Turkish pastry that was adapted by Jewish immigrants from the Iberian Peninsula much to our delight today. Hamantaschen is to Purim what sufganiyot is to Hanukkah. Celebrated midway through the Hebrew month of Adar, which falls in February or March, Purim marks the deliverance of the Jewish people from Haman, an advisor to the King of Persia who plotted to have them killed. 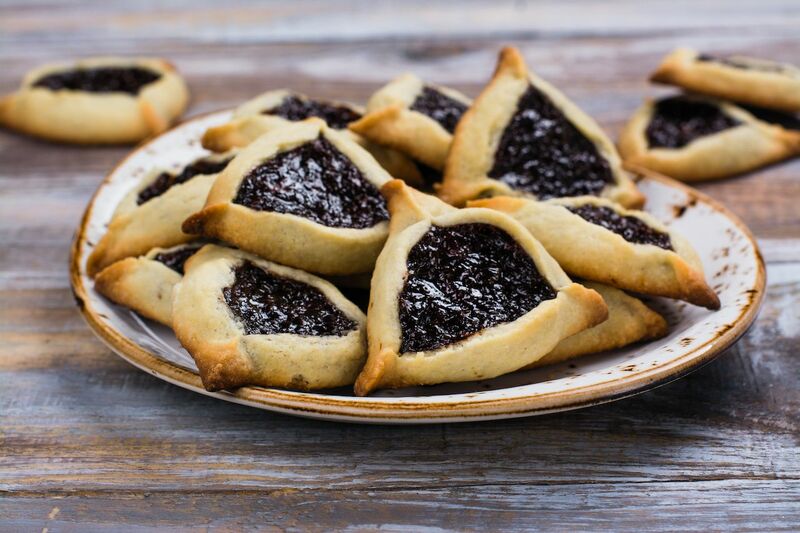 Classic hamantaschen feature a poppy-seed-based filling, but dried and fresh fruit, chocolate, caramel, and even cheese are equally common. No matter what’s inside, you’ll always recognize this buttery cookie by its triangular shape. Babka is a rich, eggy bread from Eastern Europe. 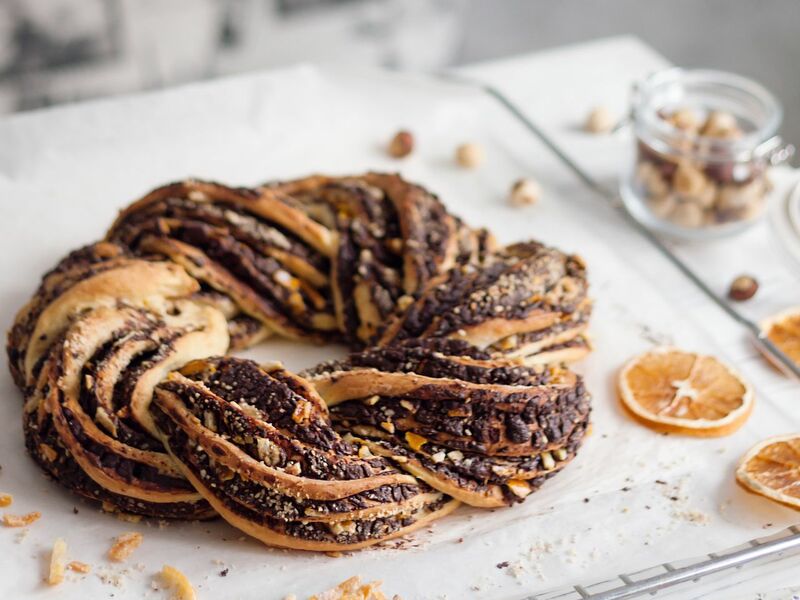 The word babka comes from the Polish for “grandmother” though the sweet has been historically identified with Ukraine, as well. Today, it’s a fixture of Jewish delis and bakeries across the US. Cinnamon was the standard filling until babkas hit NYC, where bakers opted to add chocolate before finishing the loaf off with streusel, a crumbly topping made from flour, sugar, and butter. 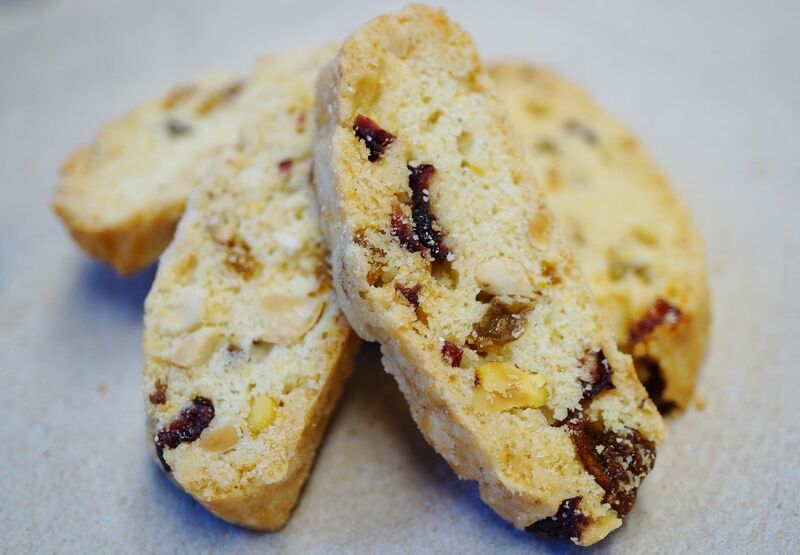 Mandelbrot is the Jewish answer to Italian biscotti. The name translates to “almond bread” in Yiddish though add-ins like candied fruit, chocolate, and other nuts are also common. The twice-baked cookie has roots in Eastern Europe, though its exact origin is unknown. Mandelbrot is easy to find everywhere from Poland to Russia, but in Ukraine, you’ll order it as kamishbrot. Matzah is a Jewish flatbread associated with Passover, during which leavened foods are forbidden. Chocolate matzah cake consists of chocolate-covered matzah stacks that are left to sit in the freezer long enough to hold their shape. Often, you’ll find coconut shreds sprinkled on top or between the many layers. The gussied up cake is an obviously modern recipe, but matzah itself represents the Jewish exodus from ancient Egypt when Hebrew slaves fled so quickly they didn’t have time to wait for their bread to rise. Matzah can also be turned into “bark” or “brittle” by dipping sheets in chocolate and toffee.